Every day feels like the weekend at the award-winning master-planned community of Traditions at Silver Spring. Located in historic Mechanicsburg, Pennsylvania, the quality of life in this town is just of the myriad reasons why 55+ neighborhoods like Silver Spring make themselves right at home. From morning cardio sessions to happy hour, Silver Spring boasts resort-style amenities, low maintenance customizable floor-plans and provides endless opportunities to get involved and engage with friends. Whether they’re in a hurry to move or want to take time exploring the wide range of customization options, if the buyer can dream it, Traditions will make it happen. From sunrooms and screened in porches to expanded butler’s kitchens and luxurious soaking tubs, homeowners can choose between turnkey quick delivery homes or opt for one of seven single level floor plans ranging from 1,542 to 3,059 square feet. Resort-inspired amenities and sleek architecture is what residents will find at the Silver Spring Clubhouse. This modern, ultra luxurious amenity center is the heart and soul of the community where billiard pros, card sharks, and fitness gurus can up their game or relax in the Great Room or whip up a masterpiece in the gourmet kitchen. 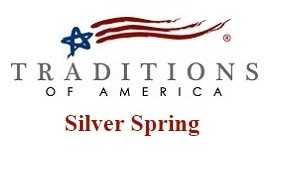 Traditions at Silver Spring is about building more than just a home to grow “better” in, it’s about building a lifestyle centered around friendship and outstanding customer satisfaction.